Christine Platt Patrick is a proud native of West Palm Beach, Florida. Christine developed her love for reading at a young age. Her mother says she could read before she could walk (but Christine knows that’s impossible). A lover of fiction and fantasy, Christine enjoys writing stories interwoven with the African Diaspora experience. She holds a Bachelor of Arts in Africana Studies from the University of South Florida and Master of Arts in African Studies from The Ohio State University. She also received her Juris Doctor from Stetson University College of Law and enjoyed working as a Policy Advisor in the energy sector before returning to her love for storytelling. 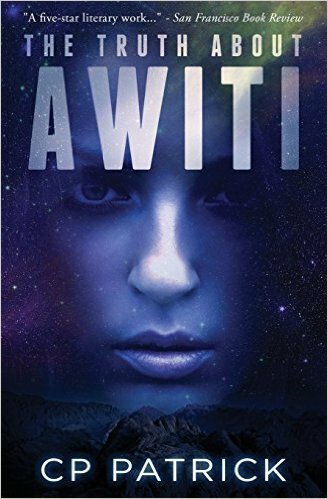 Christine’s debut novel, The Truth About About Awiti, was published through her indie press, Field Order Press, in March 2015. She recently acquired representation by Emily Sylvan Kim of Prospect Agency. Christine began writing under the moniker CP Patrick after marrying her husband, Joseph Patrick, in 2010. Her work is drawn from the inspiration of many, particularly Octavia Butler. CP Patrick is a proud member of Hedgebrook’s Cedar Deep Circle, the Association of Black Women Historians, and the Association for the Study of African American Life and History. Additionally, she is an Ambassador for Smithsonian’s National Museum of African American History and Culture. Tell us how much you like CP Patrick.